Swords & Sisterhood Save the Day in A SPARROW’S ROAR Original Graphic Novel! BOOM! Studios announced A SPARROW’S ROAR, a brand new original graphic novel from cartoonist C.R. 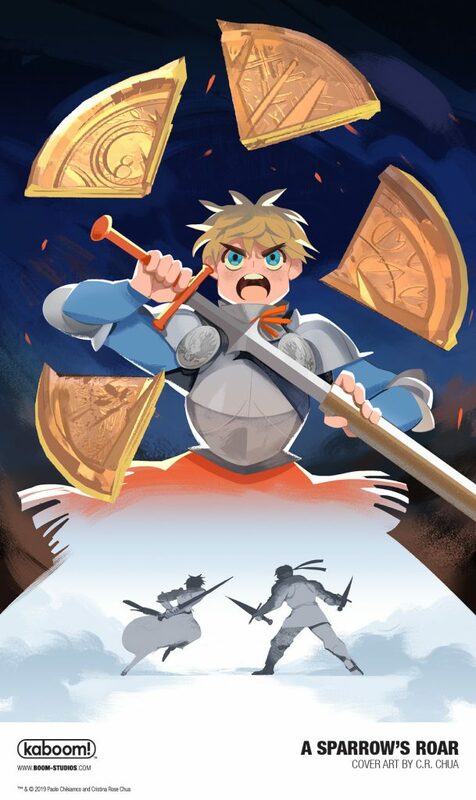 Chua and co-writer Paolo Chikiamco about a young knight who must assume the identity of her sister in order to save her kingdom, which will debut in stores October 2019. C.R. Chua is an artist and illustrator who is interested in themes of identity, self-realizations and friendship. She has worked for BOOM! Studios as a colorist and artist on titles such as Adventure Time, Steven Universe, and Regular Show. She also illustrated the story Humanity in the Philippine National Book Award-nominated comic anthology,Mythspace.